The Schools Recycling Project, run by The Waste Trade Company, was established in 2009 with the aim to educate the public about the importance of recycling whilst providing much needed access to recycling facilities. The project has since grown to service over 300 clients in NMBM and Sundays River Valley. Participating schools benefit from free collections, financial rebates, recycling consultations and various educational activities and events. 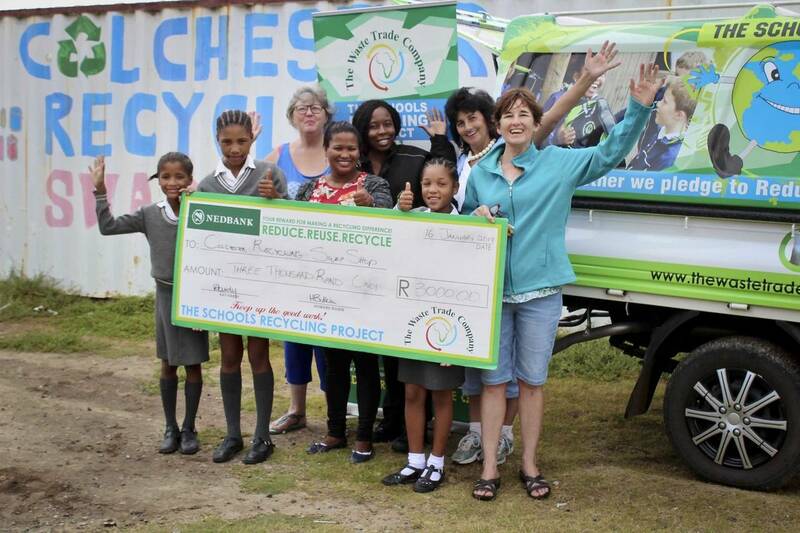 Furthermore, top recycling schools are awarded cash prizes, sponsored by Mpact Recycling SA, on a quarterly basis. The top schools are awarded according to the weight of recyclables collected per child, which ensures for fairness across the board. Kabega Primary won third place for the last term of 2018, with a total of 17.6kg collected per learner. Overall the school collected an astonishing 16 130kg of recyclables! “Kabega primary remains one of our flagship examples of a schools recycling programme, they have a very active eco club, participate in all things green and have a green champion at the school who keeps the project alive, we are very proud to be associated with them!” said Emmy Nxayeka, schools project coordinator, TWTC, “They intend to use their prize to purchase a gazebo to use at their environmental events and cleanups”. Colchester Primary was thrilled to be awarded first place for their recycling efforts. They collected an average of 58.87kg per child! Although they do not have a fully equipped recycling station, they do have a recycling buyback centre where children bring recyclables in exchange for much needed consumables. “It’s much like a swap shop, but waste becomes the currency”, shared Emmy, “It’s really humbling to see children bring big bags of recycling and buy food for their family”. Colchester Buyback Centre intends to use their prize money toward the purchasing of school shoes and stock for the swap shop. “We are very proud of all the schools, churches and companies that participate in our Schools Recycling Project, without their dedication and passion we would not have been able to prevent over half a million kg of recyclable material from going to landfill!” said Kay Hardy, Co-Owner and General Manager, The Waste Trade Company.